Credit cards at the ready – the next two weeks are shaping up to be the biggest in gaming in a very long time. On Friday the humble Xbox 360 will be rendered outdated after eight years of honourable service, while the 3DS and PS Vita receive their big Christmas games – The Legend of Zelda: A Link Between Worlds and Tearaway. Then next Friday it’s the launch of the PlayStation 4, alongside the Wii U’s Super Mario 3D World – a game that plays a highly critical role in shaping the console’s future. 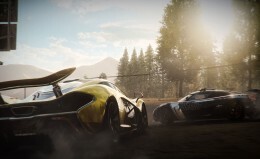 This week also sees the release of Need for Speed Rivals. As we said back on Tuesday, we were worried that it was going to be a lazy annual update in the way that The Run was. 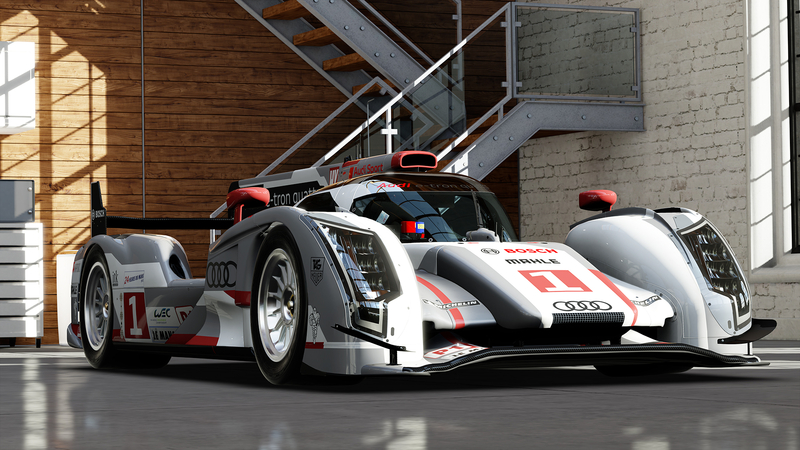 Thankfully, even with Criterion only partly involved it has turned out to be a rather robust racer. 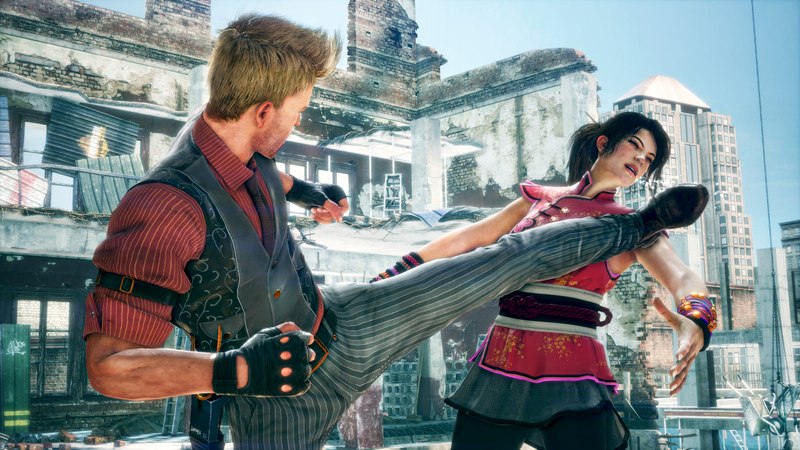 Scores include 9/10 from Eurogamer, 8/10 from gamesTM and 4.5/5 from The Escapist. It’s a good job that it has turned out to be surprisingly great – with Driveclub delayed, it’s the only racer available on PS4. Those ‘jumping ahead’ with Xbox One have the luxury of choosing either Forza Motorsport 5 or NFS Rivals for their racing thrills. Or both, we suppose. Reviews of Forza 5 went live today, generating strong opinions. Polygon reckons that it’s the first must-own Xbox One game, giving it a 9.0, while Eurogamer felt that the overall experience had been stripped back a bit in order for it to arrive on launch day. They gave it a 7. EGM’s review echoed this, pointing out that the career mode feels like a step back and that the line-up of vehicles is “dismal”. Their 6.5 is the lowest score the racer been given (at the time of typing). Regardless, we still think it’ll be a safe purchase for those looking to show off their shiny new console. Other safe purchases for those buying an Xbox One include FIFA 14, Assassin’s Creed IV: Black Flag, Battlefield 4, Call of Duty: Ghosts, Zoo Tycoon, LEGO Marvel Super Heroes and Skylanders: Swap Force. Then there are the other sports games to take into account – Madden NFL 25, NBA 2K14 and NBA Live 14. Although Madden and NBA 2K14 are arguably the best their respective series have ever been, EA’s NBA Live 14 has gained bit of a kicking. “NBA Live’s flaccid return is made all the more disappointing because we waited three years for it” said IGN before handing out a 4.3. 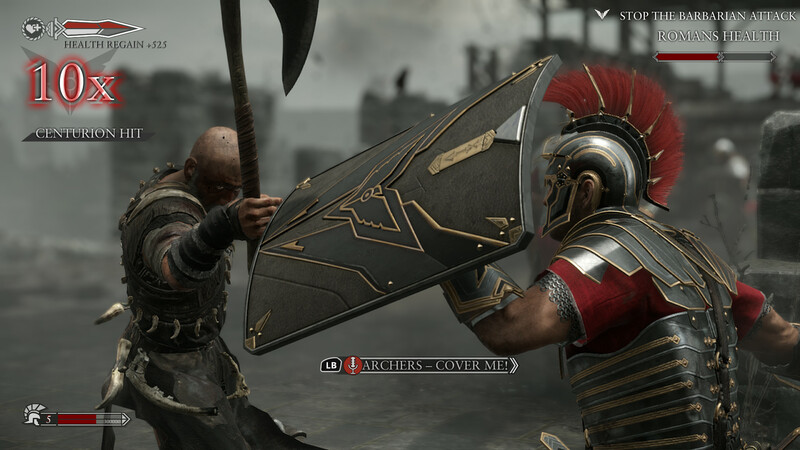 We won’t know if Ryse: Son of Rome is any good until Friday, but early previews didn’t provide much encouragement with many suggesting that it’ll be another typical Crytek game – pretty but vacuous. The online gladiator mode might give it some legs after the novelty of the visuals has worn off, but we suggest waiting for scores to surface before taking the plunge. Dead Rising 3 on the other hand, we can recommend. Well, other critics can. EDGE gave it a surprisingly high 8/10 while the Metro (née GameCentral) said it was the best Dead Rising yet. Download Killer Instinct has also been gaining some surprisingly high scores after been written off by many when first shown. “A year from now, Killer Instinct could be one of the best fighting games ever made” said GamesRadar. EDGE meanwhile dished up a solid 7/10. On the somewhat questionable side of things there’s Fighter Within and Angry Birds Star Wars. GAME are offering Ubisoft’s motion controlled brawler for £19.99 with the Xbox One itself if you do fancy testing out the new fangled Kinect. As for Angry Birds…it’s not exactly a showcase for the system, is it? The same can be said about Just Dance 2014. Ultimately, only you can decide if you want to strut around in front of the Kinect. It will see all, you know. LocoCycle, Powerstar Golf and Crimson Dragon form the Xbox One’s first digital downloads, which now offer a full 1000G. So, good news if you’re an avid achievement hoarder. All three have gained mixed reviews though, as we reported earlier this week. 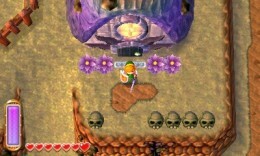 The Legend of Zelda: A Link Between Worlds flies the flag for 3DS, backed by some glowing reviews. A graphical tour-de-force it is not – Eurogamer, amongst others, have pointed out that it appears to have been put together in haste. Worry not as there’s still much to love in this tribute to A Link to the Past, including a resounding musical score, intelligent dungeon design and a noteworthy use of 3D imagery. That’s providing your only means of playing isn’t via a 2DS, of course. Still not sold? It’s only £20. Twenty quid. Speaking of money, 505 Games are still getting some worth out of the Zumba license with Zumba World Party, launching on Xbox 360 and Wii. Guess we’ll find out via next week’s chart if Zumba is still hot or not. We were under the impression that fad had ended. Finally, a couple of games aimed at the younger generation finish off this week’s retail round-up: Monster High 13 Wishes on Wii U, Wii and 3DS and Ben 10 Omniverse 2 on Xbox 360, PS3, Wii U, Wii and 3DS. 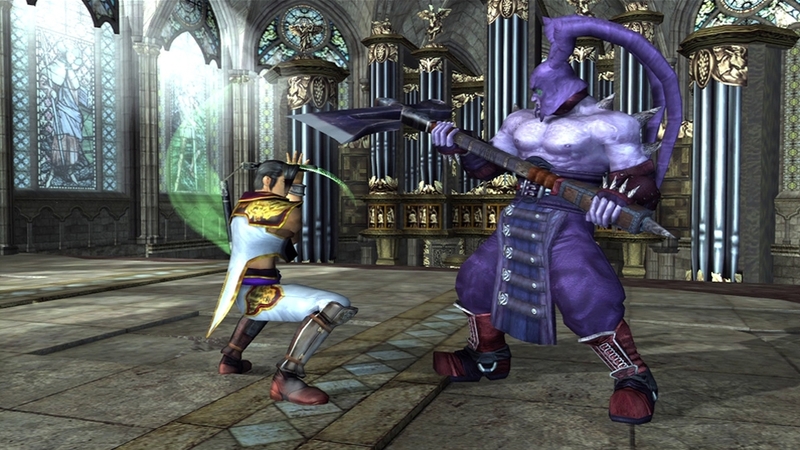 Just one publisher dares to release an XBLA game during Microsoft’s big week, and that’s Namco with Soul Calibur II HD. We loved the swords and shields beat ‘em up back in the day, but we don’t think we’d want to pay a more than slightly steep £15.99 to relive the experience. Also on Xbox Live this week: Truck Racer for £29.99. Yes, really. The mostly well received 1920’s adventure Contrast should be available on PSN by the time you read this, priced at £11.99. 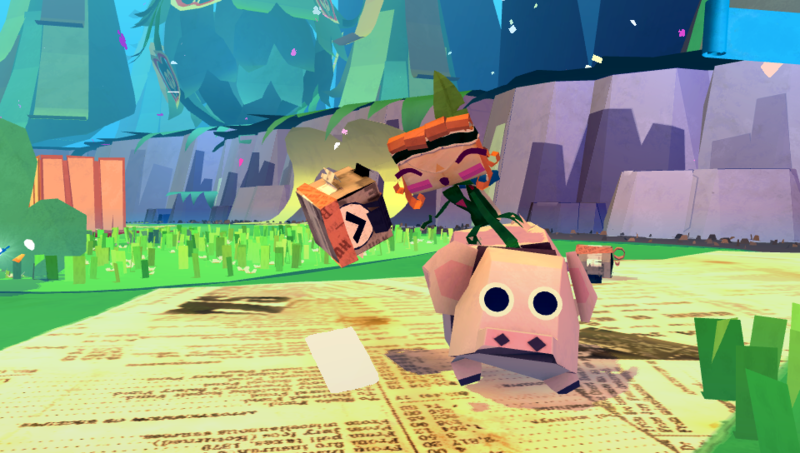 There’s a short piece about its development over on the PlayStation Blog. Remember, this is going to be free on PS Plus when it launches on PS4 next week. Taking us entirely by surprise, The Mysterious Cities of Gold: Secret Path launches on Wii U eShop this Thursday. 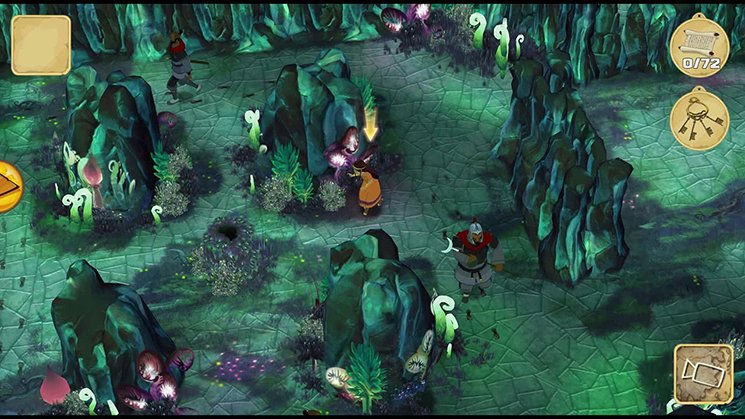 Based on the much loved anime – which was dusted off for a new series recently – it’s a top down adventure/action game from French developer Neko Entertainment. Let’s forget for a moment that they made those awful Crazy Frog games, shall we? The whole thing appears to be off the back of a Kickstarter project that ended earlier this year. 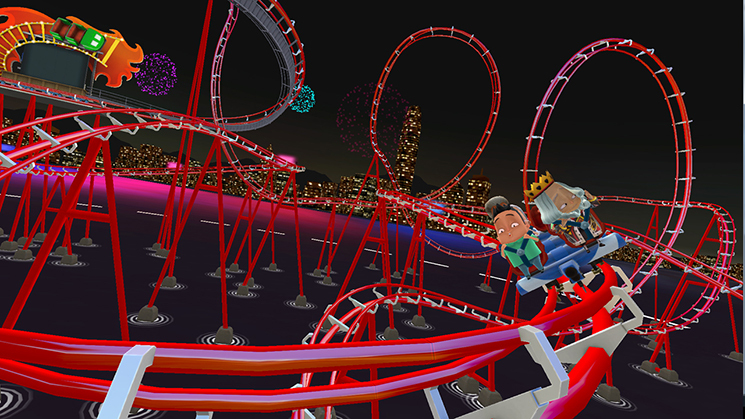 There’s also Coaster Crazy Deluxe from Rollercoaster Tycoon developers Frontier, priced at an appealing £5.99. Shots and video can be found here on the official Nintendo site. Then on Virtual Console there’s the SNES’s Brawl Brothers (aka Rival Turf 2) on Wii U VC for £5.49 and good old Donkey Kong on 3DS VC for £4.49. We love the fact that this new release round-up has taken us all the way from new technology to back to Donkey Kong. It just goes to show how diverse our little hobby is. Next week: The PlayStation 4, alongside Killzone: Shadow Fall, Knack, Battlefield 4, Need For Speed Rivals, Assassin’s Creed IV, LEGO Marvel Super Heroes, Angry Birds Star Wars, NBA 2K14, Madden NFL 25, NBA Live 14, Putty Squad (also out on PS3, PS Vita, Xbox 360 and PC), Just Dance 2014, Arcade Pinball and Injustice: Ultimate Edition. Plus: Super Mario 3D World (Wii U), Power Rangers: Mega Force (3DS), Young Justice: Legacy (PS3, 360, Wii U, 3DS), One Piece Romance Dawn (3DS) and a re-release of the seven year old The Outfit on Xbox 360 courtesy of Nordic Games. Eh?